Khalil Mackand theOakland Raidersnot withstanding, pass rushers are hard to find and teams do not let them go. The Cowboys had discussions with agent David Canter but the sides were too far apart to get a deal done by Tuesday. The Cowboys hope the tag is a placeholder to a long-term extension well before the July 15 deadline. 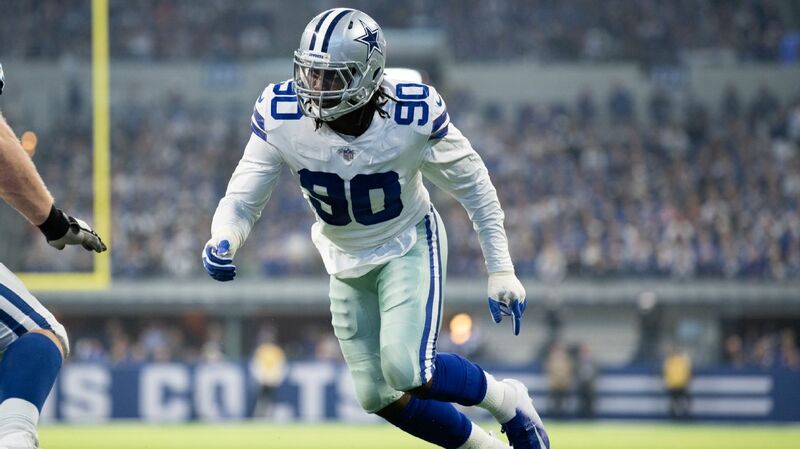 Now they have to wonder when they will see Lawrence, who needs left shoulder surgery and is not expected to show up to the offseason program, organized team activities, minicamp or even training camp without a long-term deal. It was the logical move all along. The Seahawks want to keep Clark long-term and they've had negotiations with his agent, Erik Burkhardt, to that end. But as Burkhardt made clear in an interview with ESPN.com in October, he considers Clark to be in the top tier of pass-rushers and wasn't interested in taking an early deal unless it paid Clark as such -- especially since Clark could in theory make almost $38 million over the next two seasons if he were to play on consecutive franchise tags. The Seahawks apparently haven't been willing to go near the top of the pass-rusher pay scale to sign Clark to an extension, but there's no way they were going to let him walk with the tag at their disposal. Regardless of where Clark ranks among the league's best pass-rushers, he's by far the best one the Seahawks have or could realistically acquire. And given that he's entering his age-26 season, his best football may still be ahead of him. No other Seahawk aside from defensive tackleJarran Reedhad more than three sacks last year, so it's not as though they have a surplus of productive edge players. Coach Pete Carroll's repeated praise of how Clark has matured is a sign that the team is comfortable from an off-the-field standpoint with the idea of giving Clark a massive deal. That would provide some relief compared with having the $17.128 million franchise-tag salary count against the cap. And it would free up the tag in 2020 for the Seahawks to use it onRussell Wilsonif they can't sign their quarterback to an extension before then. Clowney has proven over the past three seasons not only that he can stay healthy, but how important he is to the Texans' defense. In 2018, he and defensive end J.J. Watt were able to stay on the field together for the first time, combining for 25 sacks, tied for the third most by any pair of teammates. In the past, Houston has chosen to extend its own first-round picks before they hit free agency, but the team could not come to a long-term agreement with Clowney before his fifth-year option last offseason. Now, by using the non-exclusive designation on Clowney, the team can continue to work toward that contract before the July 15 deadline. The Chiefs had no other strong candidate to become their franchise player, so they could negotiate a long-term deal knowing they had this option with Ford if their efforts failed. Don't discount the possibility the sides could still reach a multiyear agreement before the deadline this summer. Ford also seemed to welcome the possibility of becoming the franchise player. He said late last season that it was a "no-brainer'' for him to sign the one-year tender if the Chiefs made him their franchise player. The Falcons couldn't take the chance of letting Jarrett hit the open market with the problems they already have along the defensive line. Contract talks were tabled during the 2018 season, but Falcons general manager Thomas Dimitroff constantly insisted that getting an extension done with Jarrett was a top priority. It still appears to be high on the Falcons' list, with the deadline for extending a franchised player being July 15. The 49ers and Gould didn't come all that close to finalizing a long-term deal as rumblings of a possible Gould-Chicago Bears reunion ran rampant. But Gould has been one of the Niners' most consistent performers, and for a team that has made a habit of playing close games -- they've played 12 games decided by three points or fewer over the past two seasons -- having Gould means having peace of mind. 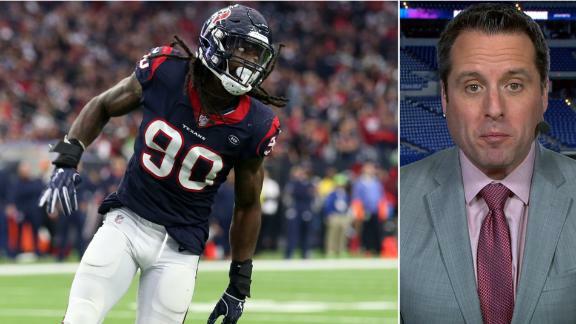 Dan Graziano breaks down the Texans' decision to place the franchise tag on Jadeveon Clowney. 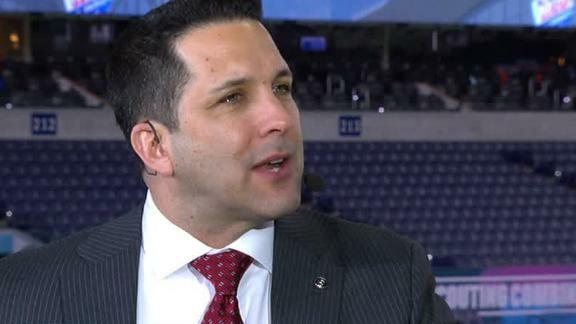 Adam Schefter explains the Eagles' decision to not use the franchise tag on Nick Foles, noting the lack of trade partners on the market for a quarterback.